Famed as the 'Jewel of Keddah', and Malaysia's tropical island paradise, Langkawi is made up of 104 islands spectacularly spread across a patch of the Andaman Sea (seriously, get a window seat if you arrive by air). 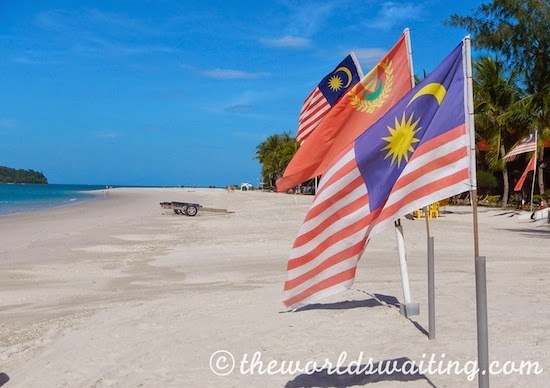 While a destination of choice for local shoppers, keen to make the most of the duty free, Langkawi is also popular among thrill seekers especially water sports enthusiasts. 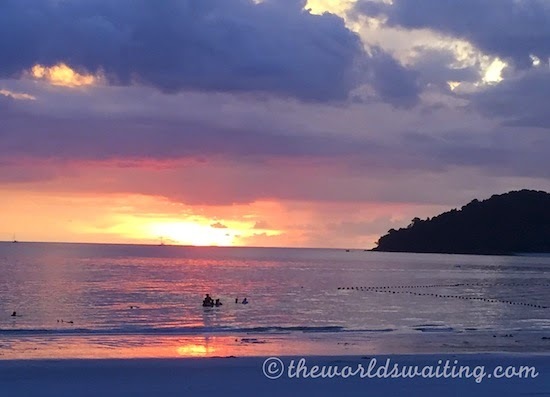 Here are my tips for the best things to do in Langkawi. Langkawi has lovely beaches to relax beside, enjoy a swim at or sail past on a catamaran. If you prefer to go at a faster pace, jetskis can be hired too. Beaches further north back almost directly onto jungle which, combined with the long (by island standards) drive to reach them, gives them a remarkably remote feeling. Get right into Langkawi’s mangroves and waterways in a kayak. What better way to experience life in the mangroves than at water level? Keep an eye out for local wildlife, such as monkeys, snakes, eagles, otters, birds and lizards as you glide along. Take a waterproof camera, wear a hat and suncream. There is not a lot of reef close to Langkawi, so it is not a great diving destination, but snorkelling daytrips to nearby reefs are offered. You can nip north, just across the border into Thailand, or head south to Pulau Payar Marine Park. Both are about an hour away by boat. If heading to Thailand you will need to take your passport with you, and if you have some Thai Baht handy that would make things easier. By the Kuah ferry terminal there is an enormous statue of an eagle. It is possible to walk out to the eagle, stroll around the base, and take in views of the harbour. Furthering our understanding that Malaysians love to shop and eat, there is not only one but two large malls by Kuah Ferry Terminal. Selling a variety of things, including duty free, food, souvenirs, clothes, luggage, and homewares, the shops are interesting to wander around if you find yourself in Kuah. We enjoyed some great sunsets at Pantai Cenang and Pantai Tengah. I think it is the islands offshore adding depth to the colours. Anyway, don’t miss sipping a cocktail as you watch the sun set. There are plenty of bars along the coast at Pantai Cenang that can sort this out. Langkawi is not Ibiza. If you want pumping nightlife it might not be the right island for you. However, being one of the busiest areas of Langkawi, Pantai Cenang is certainly where the evening crowd goes. There are several restaurants worth checking out (our favourites included the Red Tomato Café for breakfasts and, for a treat, the Cliff which offers a fine dining dinner menu while you sit, surrounded by the ocean, on a small headland). There’s lots of action along the main strip in Pantai Cenang, with many bars and restaurants in between the shops on the main street. Have you been to Langkawi? What would you add to this list?